On November 19th, the Performance Marketing Association (PMA) announced the Board of Directors for the upcoming year, and our own Robert Glazer, founder and managing director of Acceleration Partners has been named to the board. As a leader in the affiliate and performance marketing industry, Robert has championed transparency and best practices that have led to high performing programs for top online retailers, including Tiny Prints, adidas, One Kings Lane and Blurb. His expertise working with top brands in performance marketing will be vital to guiding the industry and the PMA from his new position, and we are very excited for the coming year. The Performance Marketing Association is a not-for-profit trade association founded in 2008 by the leaders of the performance marketing industry, to connect, inform and advocate on behalf of this rapidly growing field. 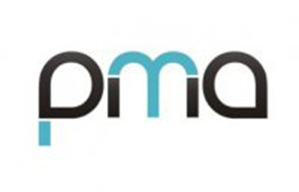 The PMA strives to raise the profile of performance marketing by demonstrating the value of this multi-billion marketing channel, which comprises more than 200,000 businesses and individuals. To learn more about the PMA and the incoming board of directors, view the official announcement.